Product was received for purpose of this post. All thoughts are my own. There’s the age old saying about “a little boy and his dog”. The same rings true with a little girl and her doll. Not just any doll, but her first favorite doll. It becomes like a best friend to her. A doll that she can takes everywhere with her. The one she can’t leave home without. It’s like a magical bond. This is what I hope Andrea feels when she receives her American Girl Bitty Baby doll this Christmas. It’s an adorable blonde haired blue eyed baby that looks just like her! 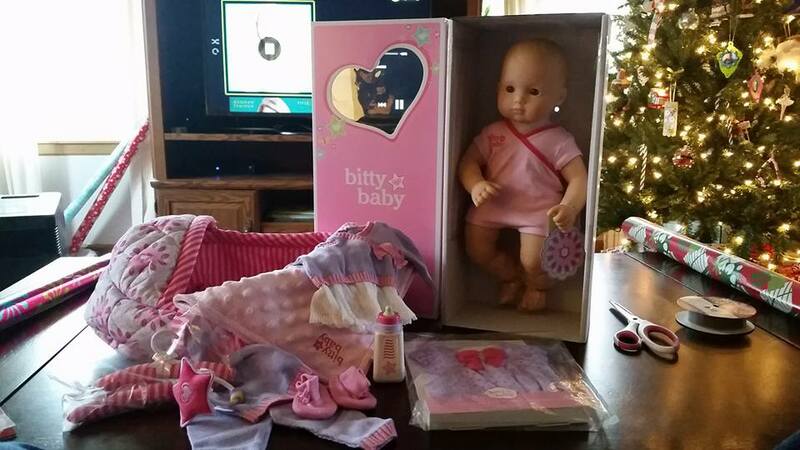 She even has the Bringing Home Bitty Collection, that gives her the accessories she’ll need to care for her little one. If any doll can make a magic experience for a little girl, an American Girl doll can. American Girl goes so much further than just providing a doll. They provide a life changing experience. Not just to your little girl, but to little girls and their families all across the world The For Goodness, Bake! Initiate in support of No Kid Hungry has actually helped to raise more than $450,000 (the equivalent of 4.5 million meals) for hungry kids! The For Goodness, Bake! Was originally launched January 1, to celebrate the 2015 Girl of the Year Grace. American Girl has matched dollar for dollar (up to $50,000) girls’ holiday bake sale proceeds to No Kid Hungry! This program runs until December 31, so there’s still time to participate if you haven’t yet. How that for the spirit of giving? You can join in by capturing the magic and emotion of the season as well! Simply share your pictures and videos of your special American Girl moments. You can do this by using cute #usies, or photos of holiday fun! Share them on Facebook, Instagram, or Twitter using hash tag #Joy2EveryGirl!